Last winter I was taking a bus home through Boston and thinking how different the buildings were from the ones I grew up with. I was thinking about what it will be like for my hypothetical children to grow up in a world of 1890s triple-deckers instead of 1980s colonials. And I started making these blocks. 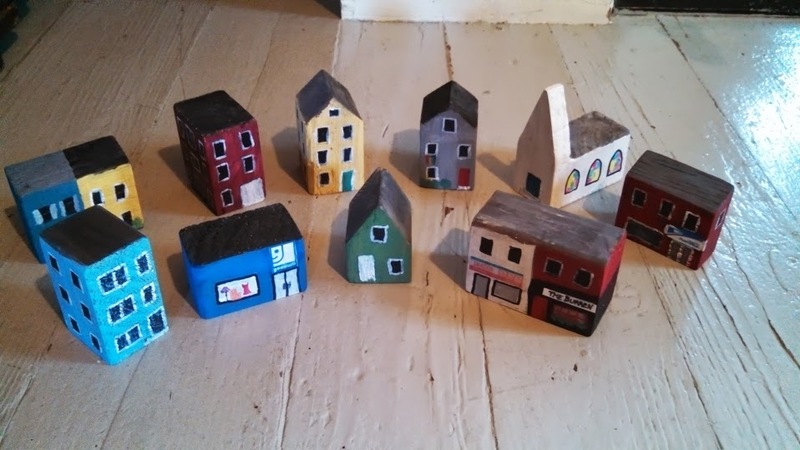 They are an assortment of real or mostly-real Boston-area buildings. 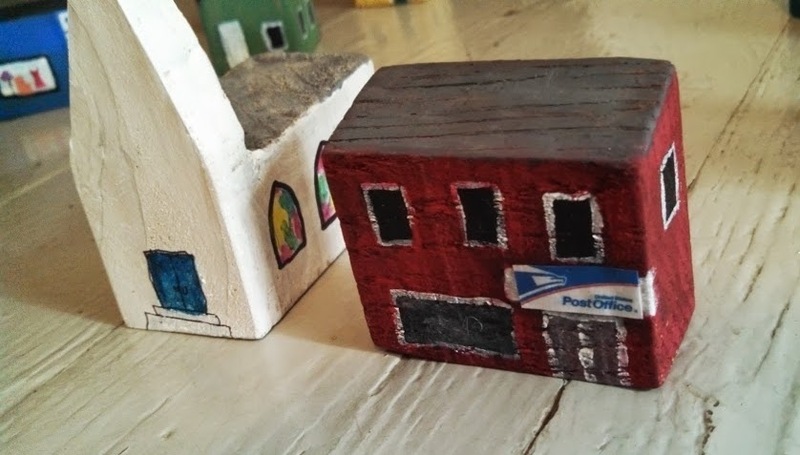 The church and post office are from Porter Square; the Goodwill and restaurants are from Davis Square. 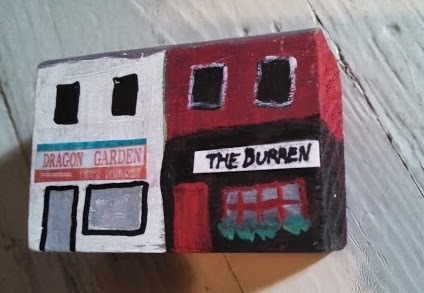 Dragon Garden and The Burren are not really next to each other, but they are on the same block. 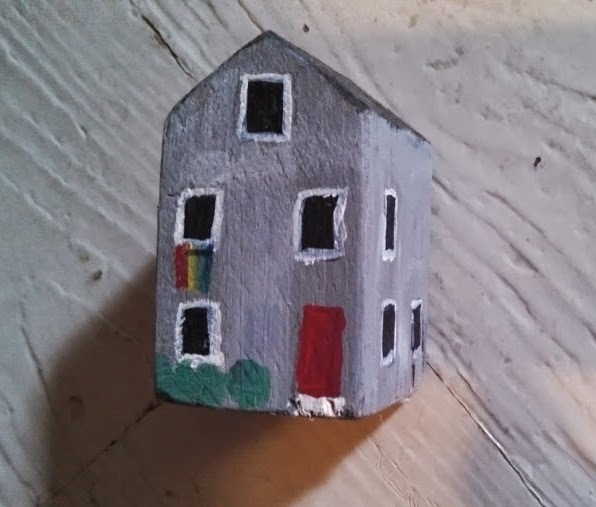 This is Jeff’s family’s house, where we live now. This entry was posted in Uncategorized and tagged children, city, projects on July 4, 2013 by Julia.